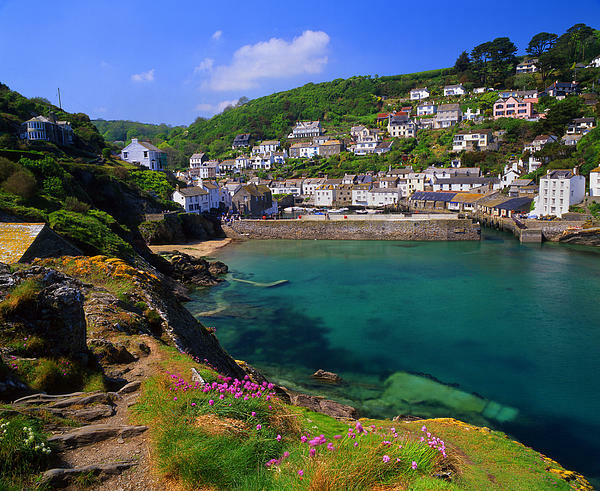 There are no comments for Polperro Harbor. Click here to post the first comment. 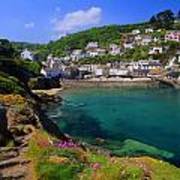 Polperro (Cornish: Porthpyra, meaning Pyra's cove) is a village and fishing harbour on the south-east Cornwall coast in South West England, UK, within the civil parish of Lansallos. 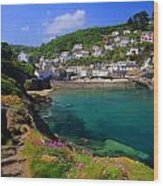 It is situated on the River Pol, 4 miles (6 km) west of the neighbouring town of Looe and 25 miles (40 km) west of the major city and naval port of Plymouth, it is well known for its idyllic location, surrounded by tightly packed old fishermen's houses which makes it attractive to tourists, and particularly in the summer months.